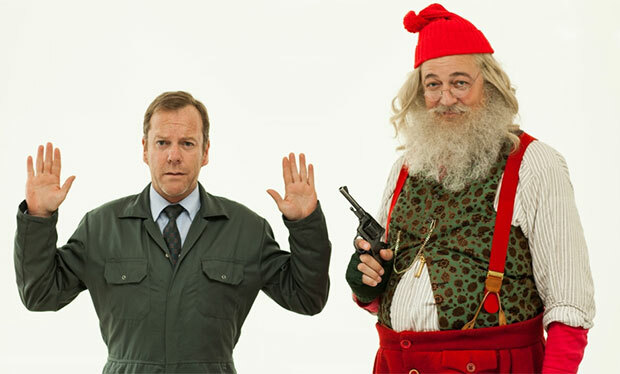 Stephen Fry and Kiefer Sutherland are reunited on screen this Christmas for the first time since their recent appearance together in 24: Live Another Day. In the Sky Arts drama Marked – part of the broadcaster’s Playhouse Presents strand – Sutherland’s debt-ridden character James agrees to perform an assassination for his neighbour (Kevin McNally) but doesn’t count on meeting Fry’s eccentric character in the house of his intended victim. As the behind-the-scenes video below shows, Fry himself was particularly tickled by the fact that Sutherland plays a hapless character, very much at odds with the role for which he is best known. “It’s so unfair to call Kiefer Jack Bauer because his career has been incredibly rich outside Jack Bauer,” says Fry. This entry was posted by Courtney on Friday, December 5th, 2014 at 3:26 pm. It is filed under Projects, Videos. You can follow any responses to this entry through the Comments Feed.